Fine roots and mycorrhizae have recently been shown to produce a major portion of the organic matter entering decomposition. Roots and mycorrhizae constitute 63 to 70% of total net primary production in Douglas-fir and Pacific silver fir stands. The importance of roots in primary production makes the method of root extraction from the soil important. Wet-sieving with small mesh screens is more effective than hand-sorting for fine roots and mycorrhizae. Screen size, the efficiency of recovery, the physiological status of the roots and coversion factors to derive biomass from the numbers of root tips should be stated. Published data is enhanced if the phenological status of the stand, its age, tree density, and soil texture are quoted. 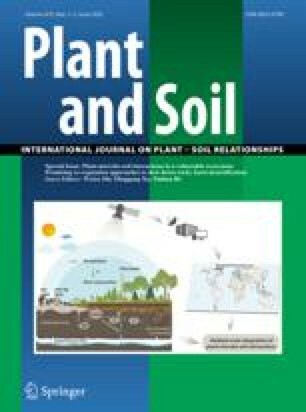 Given the large fluxes in fine root and mycorrhiza populations, single biomass estimates are not useful in studies of ecosystem structure and function. A better understanding needs accurate methods to distinguish live and dead roots, data on the production and turnover of large roots, and data on the transfer of nutrients accompanying the large input of roots to decomposition.